1. Pay off non-mortgage debt: It’s best if you have already paid off your credit cards. But if you haven’t, now is the time to tackle what remains of youthful indulgences with plastic. (And get out of the debt cycle once and for all.) Once that is done, your early 30s should be devoted to getting rid of auto loans, student loans and other debt that isn’t mortgage related. When your non-mortgage debt is paid off, you can start thinking of paying down your mortgage. 2. Protect what you have: Review your insurance policies. Make sure your home, auto and health are adequately covered. Look for ways to save money on insurance, yes, but make sure that you aren’t sacrificing the coverage you need. Consider the possible catastrophes that could occur, and plan for disability, accident and other unexpected expenses. 3. Check your life insurance: Now that you are more established, and possibly have a family, you need to make sure your dependents will be cared for should the unthinkable happen. Get coverage for your life. You can actually get good term life insurance coverage for very little while in your 30s. 4. Make a will: I admit that I still need to do this — and my son is seven years old. Thank heavens nothing has happened to my husband and me. It is vital to draft a will, and to make provisions for what happens if you become incapacitated in some way. Make sure that friends and family know where this information can be found, and that a couple of trusted people have copies. 5. Up your retirement contributions: Hopefully, you began saving for retirement in your 20s. If you didn’t, open a retirement account (or three). If you have a spouse, open retirement accounts for him/her as well. Look at what you have been investing in your retirement, and then figure out how much more you can put in. Reconsider your priorities; your kids can get loans for college, but you are on your own for retirement. Get serious about the future. 6. Consider your asset allocation: Now is the time to take a look at your investment portfolio and consider your asset allocation. Make a plan that fits your long term financial goals, and consider asset allocation and appropriate diversification as part of that plan. You might need professional help as you plan ahead. Just make sure you re-visit your portfolio at least once a year throughout your 30s to re-balance as needed. 7. Live a simple lifestyle: Find contentment with who you are and what you have, and attempt to live simply. This doesn’t mean that you can’t get out and enjoy yourself with the occasional treat or vacation, but it does mean that you need to train yourself to live within your means, and save up for those fun extras. Develop a sense of yourself, and contentment with that, and you will be less tempted to spend yourself into debt in order to keep up with friends and family who appear to be living large. 8. Keep your skills sharp: Continue learning so that you are up with technology, industry trends and certifications. Even if you aren’t pursuing a degree, engage in personal and career development so that you remain competitive and marketable. Your 30s are a great time to improve your finances. It’s not too late to start over if your finances are a mess, and if you have managed to lay a solid financial foundation in your 20s, it’s the perfect time to build on it. Along with marketable skills consider learning skills that you enjoy. For example I took a furniture refinishing course in my 30’s and have returned to it now I’m retired. Not only does it save me money by not having to pay someone to do the work but I get much enjoyment in returning older furniture to it’s past beauty. I think this type of post is a great idea. I would love to see one for the 20s, and even more relevant to me, 18 to 20. I am just starting out and need a lot of guidance. I am 27 and happy to say I have hit everything on the list except the will. I do not have any dependants, but I should still do it for the sake of my family if anything should happen. I’m turning 30 this year. I just bought life insurance and critical illness insurance. It is EXPENSIVE even though I’m perfectly healthy. I’ve really been trying to focus down on living a little more simply. Not going out to eat at every meal has been a key one for me. Avoiding excessive trips to starbucks too. Some of the common indulgences just aren’t worth it. It’s great to see people in their 20’s and 30’s interested in wills. It’s especially important to have a will if you have kids but a will is even important to people without dependents. Don’t forget about the importance of having a personal directives and power of attorney too. Thanks for stopping by, all. It really is amazing what you can accomplish financially, if you have a plan. Great point, @Maxwell. I’ll do a post on what you can do when you’re under 20 to get off on the right post in the coming weeks. All great things to accomplish, I agree with Patricia one of the most important things you can/should do is upgrade your skills. I always enjoy learning new things and skills, never know when they can come in handy. This is a great thread. I’m in my 30s and I also have to do up a will in the short-term and decide on life insurance options. I think its important, particularly when you have a family, to have a good life insurance plan in place. Perhaps one of the most important thing every investor has to consider, regardless of age, is their asset allocation. This is crucial, in my view. 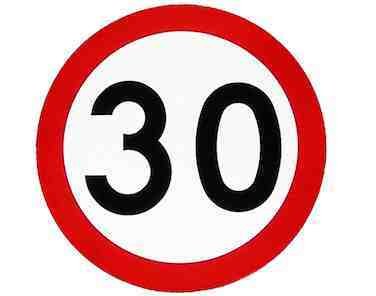 Next month, I’m leaving the ranks of the 30s. As you enter, I leave. From a been there done that perspective, I’d echo what Patricia said. Picking up extra skills that you enjoy that you can apply to general life will result in huge financial savings the rest of your life (both from a repairman perspective and an entertainment expensive perspective). The non-mortgage debt financial goal would be something I would modify. I would suggest that your goal be to have zero debt, dwelling related or otherwise. You did say after all other debt, attack mortgage, but I’m suggesting that you make zero debt the goal of the 30s. I’ve done this, and as I turn 40, I have no debt and it is quite empowering. As you leave the 30s, other considerations (“mid life crisis”) may come up. You may begin to wonder if your career is really the right one for you for another 10 or 20 years. You may have children to care for. By having zero debt, my cost of living is such that I can change careers, jobs, or, in my case, simply hop on a boat next year and sail around the world for 5+ years. A number of our friends are not in this condition and feel locked. They don’t have the agility to go with the flow. Looking back, the 30s were fantastic financial years. Your earning power really starts to grow, and as it grows, continue to focus on your operating expenses and keeping them as low as you can while enjoying life. Spend your money on the experiences, not the stuff. Miranda – Looking back on my 30s from my 40s, I wished I’d had your financial wisdom back then. I’d be a lot further ahead today. It took me a decade longer to figure out what you already know. Fortunately, my finances weren’t too messed up when I started and I’ve been able to pay off my debt and start investing heavily. I pay cash for everything now. I can speak from experience in saying that you are on the right track. If you stick to your goals, then you’ll enter your 40s with a great deal of financial momentum. Stay the course! Miranda, great advice as always. RE: paying off debt. Along with this, make a plan to pay off your mortgage early with the payments that you cut from paying off debts. It is powerful. RE: Insurance. I recommend that everyone read “Becoming Your Own Banker” by R. Nelson Nash. It is an eye opener and speaks to the power of whole life policies that will not only offer a death benefit but allow you to borrow from them (because you have the right to use the cash value to make investments before they do). Imagine borrowing from yourself and paying yourself back with interest instead of your local bank? It is a powerful concept that has been around for years, even predating the IRS code. RE: Will, I recommend (and have) getting a legal services plan from Prepaid Legal services. In addition to having great coverage, they will prepare and update your will annually. As a disclaimer, I am a rep for Prepaid Legal Services (because I am a happy customer). Wishing financial freedom to all! We just got all of our debt (minus mortgage) paid off. We now will be working on paying off our mortgage. Hopefully we can refinance to a 15 year soon. Thanks for the tips!!! Great tips here…I especially like ‘simple lifestlye’ suggestion. It’s often the ignoring of this one that keeps 30 somethings from having anything left to put in retirement. Good post. Actually, I didn’t. I thought of 8 things that I wanted to do in my 30s, or stuff I was already doing but some of my 30-something friends weren’t yet, and made my list. What I came up with is fairly standard fare across the PF spectrum, though, so I’m not surprised at the overlap. I’ve written on all of the subjects listed here at various times in the last five years, so it wasn’t hard to come up with them for my list. Wonderful advice. You basically take everything I’ve read in several books and put it in one easy to read, neat and tidy summary. I’m 37 yrs old & a stay at home mom for more than a year. Before this, I was a banker w Degree in Finance. Before I quit my job (follow husband transfer to oversea post), I’ll make sure I accumulate my own saving, add some personal insurance & my properties w tenant were refinance for lower mthly installment so that I don’t have to pay extra. They are my hard work. I canceled my credit card (which I regret it later). I receive money allowance frm mr husband every mth (not much) but enough for me to pay my Harley installment (50%financing) & pay my insurance & add my saving. I’m Asian & always feel insecure without money esp when it involves my children. In fact, currently I do small catering business among my community (never cook before this). I am a frugal type person but not a cheapskate. I believe women have to be smart with money & plan their future eventhough as stay home mom. I love to read financial magazine & well informed about the situation. Right now I am planning to allocate my investment in certain area. Don’t let your busy schedule affect your financial & believe in your potential.